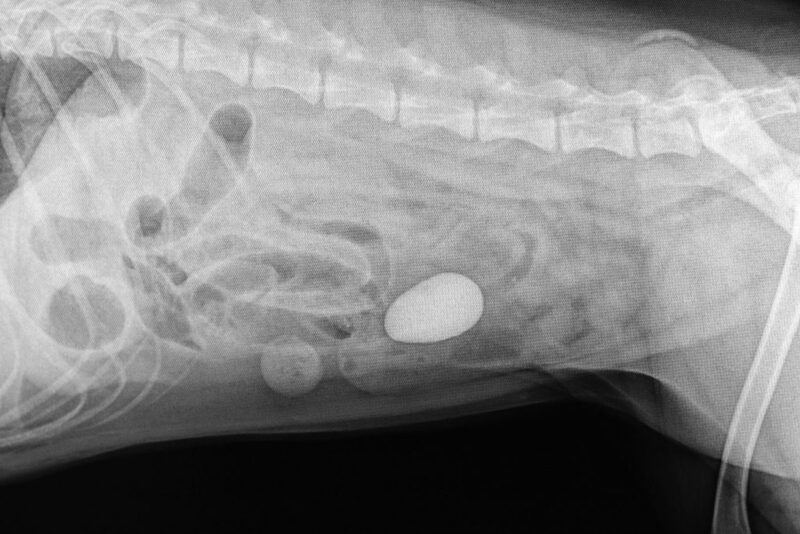 Intestinal obstruction in dogs may be due to foreign bodies such as rocks, string, bones, fibers, glues, pieces of plastic or metal, or others. 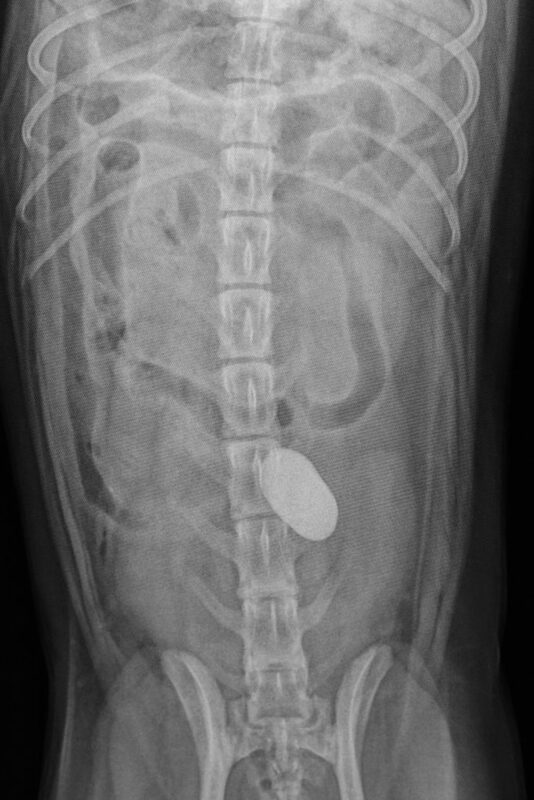 Clinical signs often include vomiting, dehydration, and pain in the abdomen. If you believe your dog has an intestinal obstruction, please call.